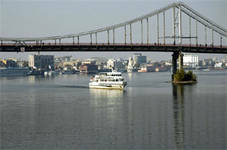 We offer 10-14 days of relaxation, fun and parties on board the comfortable four-deck motor ships. 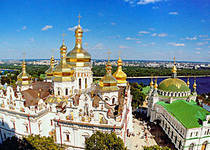 You will visit the most picturesque places of Ukraine and have a possibility to spend some days on the Black Sea beach. 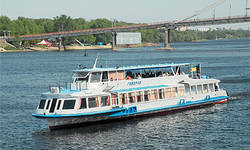 Blossoming of the Dnieper hills, blue waves of the ancient river, nights full of stars, sun of the Black sea coast, high standard service, Ukrainian and European cuisine, numerous board events and communication with travelers from the different countries of the world will leave you with unforgettable memories, and you will decide to return on board the ship.